Each Greka Drilling rig is fitted with a SCADA system that incorporates a satellite communications system transmitting video, audio and data 24/7 to our central OCC department. The datastream can consist of geo-steering and directional drilling data as well as a multitude of real time drilling parameters including depth, pressures and weight associated with both the mechanical properties of the rig and the drilling parameters experienced downhole. 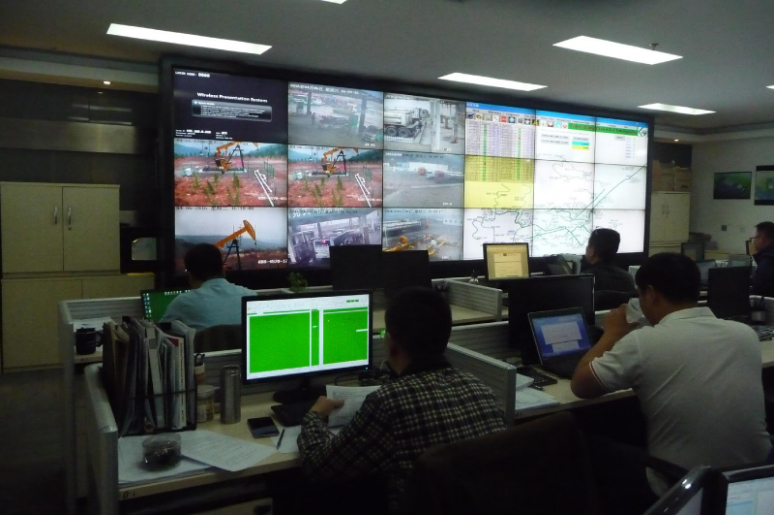 This data can all be transmitted back to our OCC that is manned 24/7 by a team of experienced engineers, geologists and well planners who provide real time operational support and geological assessment. The OCC has been designed to deliver a smarter outlook of the business. Its diverse functions focus on quality control, time effectiveness and improvisation while providing technical solutions as well as non-technical guidance. The Well Planning unit, a key part of the OCC, provides drilling engineering expertise to create well designs for optimum production.